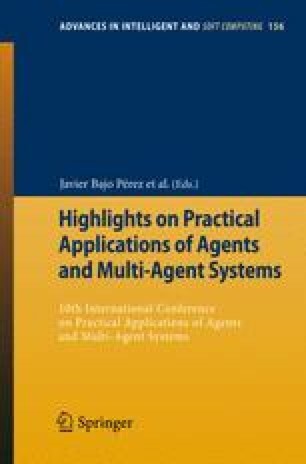 In this contribution a Multi-Agent System architecture is proposed to deal with the management of spatially distributed heterogeneous nets of sensors, specially is described the problem of Pan-Tilt-Zoom or active cameras. The design of surveillance multi-sensor systems implies undertaking to solve two related problems: data fusion and coordinated sensor-task management. Generally, proposed architectures for the coordinated operation of multiple sensors are based on centralization of management decisions at the fusion center. However, the existence of intelligent sensors capable of taking decisions brings the possibility of conceiving alternative decentralized architectures. This problem could be approached by means of a Multi-Agent System (MAS). In specific, this paper proposes a MAS architecture for automatically control sensors in video surveillance environments.